Yesterday, I went to the airport control tower to try my 70-200 f/4.0 and 55-250 f/4.0-5.8 telephoto lenses. Seeing those mechanical birds arriving and departing at Davao International Airport really excites me. More so, it was my first time to try the zoom lenses given by my generous uncle. 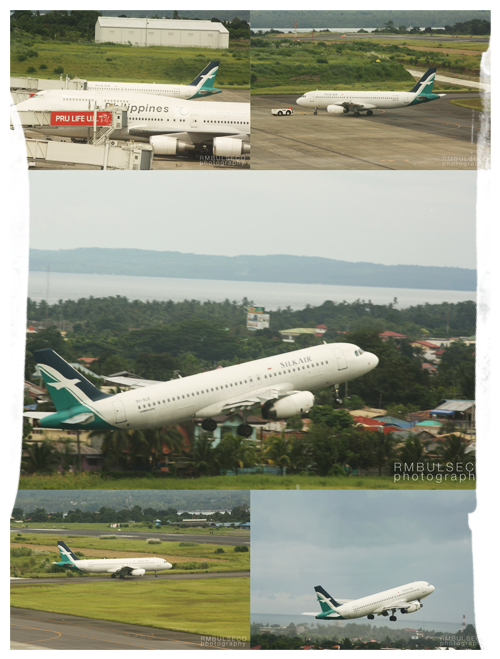 The following photos were taken from 9:10 AM to 3:00 PM at the airport control tower. Cebu Pacific Air is indeed Davao's largest airline when it comes to the number of destinations offered to and from the city and the number of flights as well. Currently it has 8 daily flights to Manila (but will increase to 12x daily starting November), 45x weekly flights to Cebu, daily flights to Zamboanga City and Iloilo and a 5x weekly service to Cagayan de Oro City. Cebu Pacific Air utilizes Airbus A319-100 and Airbus A320-200 for their Manila, Cebu, Zamboanga and Iloilo flights while a smaller aircraft, an ATR-72 is used to their 5x weekly service to Cagayan de Oro. 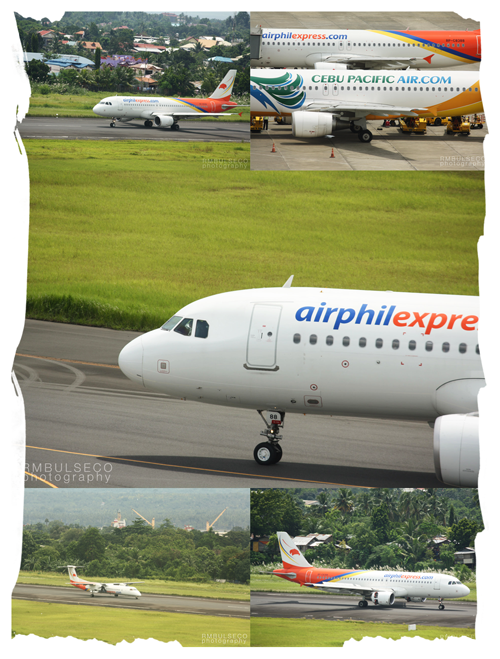 Formerly known as Air Philippines, AirPhil Express is Philippine Airlines' sister company. 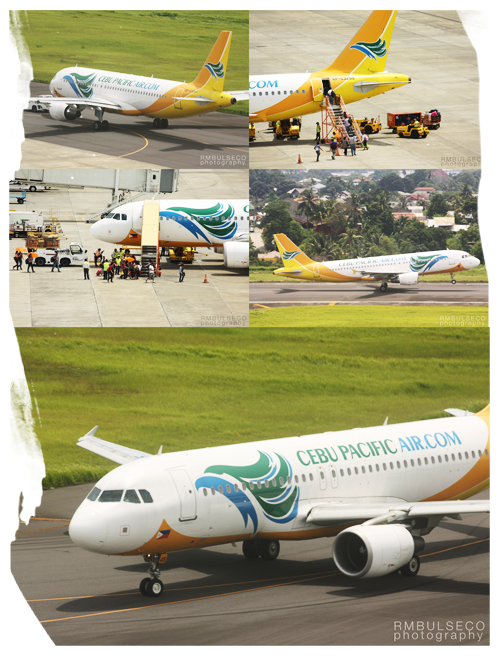 It resumed its services back in 2009 and has been considered as Cebu Pacific Air's greatest rival. The airline utilizes Airbus A320-200 planes to their flights to Manila, Cebu and Iloilo while a smaller plane is used to its daily flight services to Zamboanga and Cagayan de Oro. Despite the chaos that occurred at NAIA Terminal 2 brought about by the PALEA employees, Philippine Airlines still utilizes its Boeing 747-400 service to Davao City. 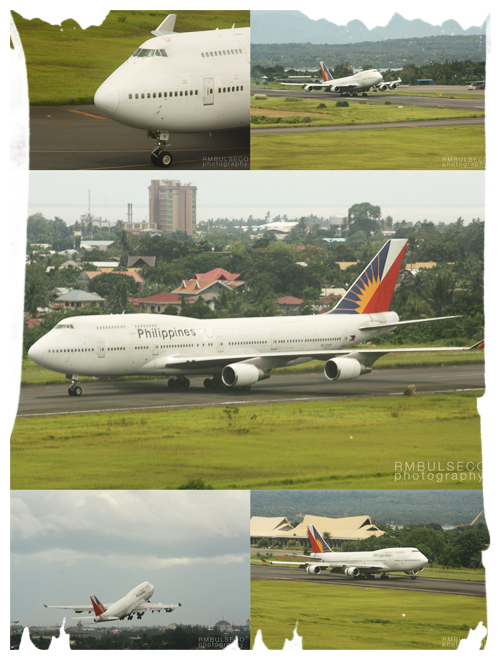 Out of the 4 daily flights of PAL, two of them (PR 811/2 and PR 813/4) are being utilized by the Boeing 747-400 plane. Two Boeing 747-400 flights is roughly equivalent to eight Airbus A320-200 flights. That's how big this plane is! Silk Air is Singapore Airlines' regional subsidiary and is the only international airline serving the city. It started its Singapore-Davao service back in 1998. This coming November 1, Tiger Airways will commence its thrice weekly services from Davao to Singapore! 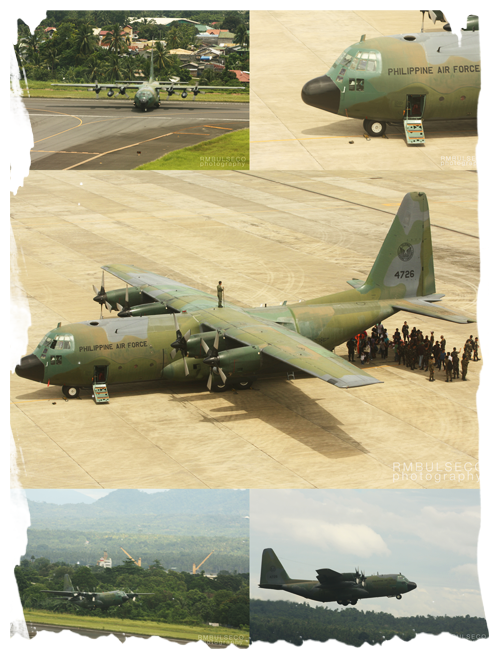 PAF's (Philippine Air Force) one and only C-130 plane! We shouldn't forget though that the other C-130 plane crashed at the Davao Gulf back in 2008. I don't have a photo of Zest Air but it offers flights to Manila, utilizing their Airbus A320-200 plane. I am looking forward to conduct my planespotting activities in Mactan-Cebu, Iloilo, Zamboanga and Manila. kakaibang post ito ah, up close with the planes. awesome job man. hey, i like the Philippine Air Force plane! Parang toy figure. Ate Gay: Superrrr duperrr bait niya! Gusto ko ngang i try mga lens sa wildlife eh. :D tengs! Dee Quixotic: Yeah! Parang miniature lang. Thanks. this is a refreshing post Renz. infocus ang mga eroplano which clearly shows your love for planes and as you mentioned before, with airports too. magpiloto ka na! hehe. seriously, pumunta ka pa ng airport para kunan lang ito. ito yung mga 'adik' moments wherein di ka dapat guluhin kasi you're in the zone. great job! It was a great advantage for me kasi my uncle works there as a Senior Air Traffic Controller. Lagi akong pumupunta diyan since 2003 (naabutan ko pa yung old tower). It's about viewing the planes from a higher angle. You captured it on the right spot. Great shots, thank you very much.